704 662 0834 Reliable Pre-Arranged Airport Taxi Service. Get fare quotes, reserve and prepay online. ​Located just north of Charlotte NC, Lake Norman is a man made lake with 520 miles of shoreline, surrounded by more than a dozen Cities, Towns and Communities. Lake Norman Airport Taxi provides reliable prearranged airport taxi service between these Cities, Towns and Communities and 5 different Local, Regional and International Airports. Charlotte Douglas Int'l Airport (CLT). Wilson Air Center at (CLT). Piedmont Triad Int'l Airport (GSO). There are lots of things that can go wrong when flying, delayed or cancelled flights, important items lost or forgotten. We would like the ride to and from the airport to be a breeze. Pre-Arranging your ride a day or more in advance helps to to set us both up for success. You don't need to scramble to find a ride just before you need to leave, and we can block off plenty of time to be early for your trip to or from the airport. You bought your plane ticket early so while it's still fresh on your mind, why not book your taxi too? Your airport transportation is serious business. We work by appointment to ensure on time service you can rely on. Don't wait until the last minute to make your airport transportation arrangements. 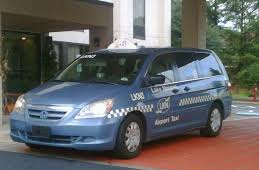 Lake Norman Airport Taxi is there for your corporate travel needs. Airport Transfers for prospective employees, guest speakers, and visiting VIP's. Airport Service for weekly business travelers. Shuttle Service for training seminars. Lake Norman Airport Taxi is also available for your personal travel needs. 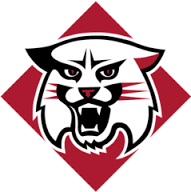 Lake Norman Airport Taxi also serves Davidson College. Student Breaks and Holidays: Fall, Spring, Thanksgiving, Christmas, and Easter. Prospective Student Visits: Come Take a Tour of the Campus. Visiting Parents or Alumni: Parents Weekend or Reunions.